I get asked all the time for recommendations for things to do in the Cape, and it’s so hard to name just a few. 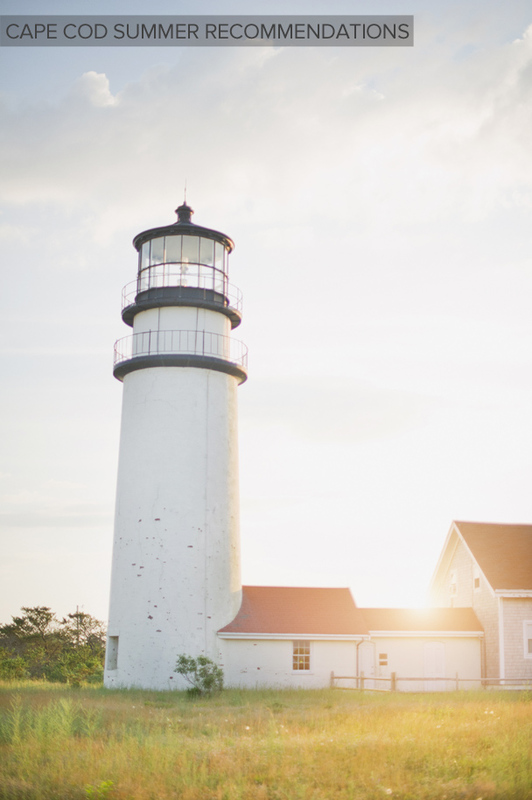 If you are traveling to Cape Cod this summer for the first time, I definitely suggest going to all the touristy places, they are SO fun and it’s worth it. However, if you have been before and are looking for something a little different, try these few ideas I mixed in with the classics. Sandwich: One of the towns closest to the bridge. It’s so old and quaint. I recommend maybe stopping here on your way in and having a glass of wine at The Brown Jug (read more here.) Main Street Sandwich has some cute antique stores and there is also Heritage Plantation if you want to take a stroll through some beautiful gardens or take the kids on a vintage carousel. I also LOVE Cafe Chew—great for a bite on your way back off Cape (read more here). Barnstable: This is where I live! More specifically, I’m in Osterville. Cute shops, sandwich places, etc. For an amazing sunset and drink on the water, try the Islander. For amazing French food, and a great date night spot, go to Five Bays Bistro. For a vegetarian spot for lunch, check out Earthly Delights and eat on their charming little deck. Main Street has some cute book stores and shops. The kids will love the library, they have a great children’s room. There is also a Farmers Market on Friday and Saturdays at the Boat Museum. Hyannis: Great seafood, restaurants and shops. It’s sort of hustle bustle here and really touristy but, as a tourist, you will love it! I love Baxters for fried seafood, it’s right on the water and great to watch boats, grab a beer, etc. If you go down main street Hyannis you will see some cute shops like The Little Beach Gallery and Shift. You won’t run out of things to do! You can also take the ferry from Hyannis to the Islands. *Check out the JFK museum (drive through Hyannis Port, too, it’s so charming) also home to the Cape Cod Baseball League (check out a game if you have time!) Museum. For a more scenic route I would take Route 6A (the highway is route 6) from Hyannis to Chatham. Truro Vineyards: LOVE LOVE LOVE, super fun. Bring your own food and do a tasting and tour! Beach Comber: in Welfleet! Beers and seafood and a fun beach. National Seashore: FUN beach, really pretty. Ptown: A MUST! It’s amazing people watching. I love The Red Inn for food (upscale) and Spiritus for pizza. Stay at the Brass key! There are a ton of restaurants, galleries and shops on Commercial Street. You won’t be bored. MUST GO TO CAPE RESTAURANTS: Ocean House in Dennis. You will need a reservation well in advance, and I promise it will be one of the best meals you have ever had. Cape Sea Grille in Harwich Port. Super great food and quaint.